People who love and depend on their cars make every effort to keep them well maintained. One frequently asked question of car enthusiasts is how often should auto transmission fluid be changed. Experts in Everett transmission repair and maintenance suggest that transmission fluid be changed every 15,000 miles or every other year. Those knowledgeable in auto transmission and repairs note that auto transmission fluid is labeled as having a life of 100,000 miles under ideal driving conditions. Most auto repair shops, however, will also tell you that when it comes to your auto transmission fluid, there are no ideal driving conditions unless you drive 10 or fewer miles each day and then only after your engine has warmed up. If you are a commuter facing stop-and-go traffic on a hot day it is likely that the temperature of your auto transmission fluid will top 235°. Drivers should be aware that for each 15° over 175° that your transmission fluid reaches for a sustained period, the active life of transmission fluid is decreased by as much as half. Tip 1: Take your car to an auto transmission repair every 15,000 miles and have the auto transmission fluid changed. Tip 2: If you live in very cold weather, allow your car to warm up when the temperature is below 5°. Transmission fluid exposed to cold weather tends to solidify temporarily. Once your car warms up for 5 to 10 minutes, the transmission fluid heats to a more liquid state and easily flows through your transmission. Driving before the auto transmission fluid has warmed up may mean an unplanned stop at the transmission repair shop. 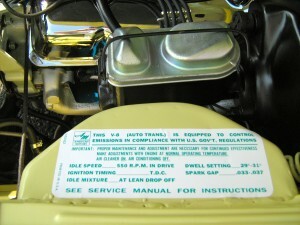 Tip 3: Check your auto transmission fluid level at least every thirty days. Any loss of fluid is reason to head to an auto transmission repair shop with ASE certified technicians. Frequently, expensive auto transmission rebuilds or replacements can be avoided by fixing a leaking transmission seal before major damage occurs. Tip 4: Never change gears while your car is moving. The gears inside the transmission continue moving until a full stop is made. Shifting gears while moving puts unneeded strain on transmission parts. Tip 5: Never ride the brake; this makes your transmission work harder. Tip 6. If you tow with your car or use your car in a very hot climate, consider installing a transmission cooler. As heat is most vicious enemy of your auto transmission, a cooler is an inexpensive way to insure against expensive damage to your car’s auto transmission. A reputable transmission repair shop can usually install one for you. Your auto transmission is a complicated piece of machinery, but with proper care and maintenance it will give you miles of longevity. To insure your vehicles reliability schedule an appointment with a Everett Transmission Repair and Service Shop today.